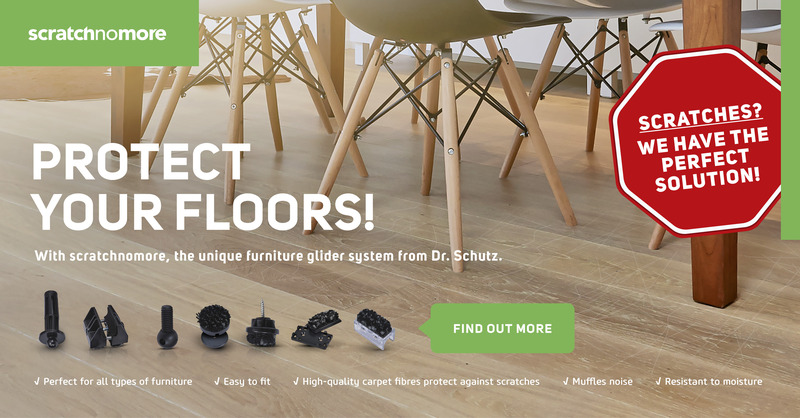 Dr. Schutz GmbH (hereinafter referred to as „Dr. Schutz“) exclusively processes pbD in accordance with article 4 no. 1 of the Datenschutz-Grundverordnung (DSGVO) within the scope of the DSGVO as well as within the provisions mentioned in article 95 DSGVO in connection with §§ 11-15a of the Telemediengesetz (German Telemedia Act) (TMG). Dr. Schutz processes the data provided by the User via the contact form (name, email address, telephone number, message content). The data to be provided here are those mentioned in article 4 no. 1 DSGVO. If the User makes use of the option of contacting Dr. Schutz via email, the email address including all the data that are technically connected with the email as well as the message content will be saved. In particular, the email address may, as far as personalized, be a pbD according to article 4 no. 1 DSGVO, as well as the message content or parts thereof. The User may submit his/her application documents to Dr. Schutz via the email address karriere@dr-schutz.com (see subpage „Career“). The data processed in this framework shall be pbD according to article 4 no. 1 DSGVO. The data provided by the User within the scope of the contact opportunities shall be exclusively used for the purpose of processing the User‘s concerns. Recipients of data apart from Dr. Schutz may also include third parties who process data on behalf of Dr. Schutz or have access to data within the scope of their services provided to Dr. Schutz (e.g. IT service providers or mail-order companies). A transmission of user data to third parties (article 4 no. 10 DSGVO) shall not be effected unless the User expressly agrees to it. All data are stored on servers or computers within the European Union, a transmission to third countries shall not take place and is also not intended. Another transmission of pbD, for example to state institutions and authorities, shall only take place in accordance with the legal provisions. Dr. Schutz uses so-called „cookies“. Cookies are small text files which save settings of websites e.g. in the User’s web browser during the website activity. Cookies serve to make the operation of the website easier. The cookies used by Dr. Schutz are session ID cookies. These are only saved for the current session in the User’s web browser and deleted when the browser is closed. In addition, _icl_current_language cookies, with which the User’s language setting is saved for 24 hours, are used. Every User may freely decide whether or not to prevent the installation of such cookies by setting his/her browser accodingly. Dr. Schutz uses plugins of the website operated by Google. The operator of the pages is YouTube, LLC, 901 Cherry Ave., San Bruno, CA 94066, USA (hereinafter referred to as „YouTube“). When the User clicks on a video embedded on our website, a connection is established to the servers of YouTube. In this process, the YouTube server is informed about which of our pages has been visited. If the User is logged in to his/her YouTube account, this will make it possible for YouTube to directly allocate the User’s surfing behaviour to his/her personal profile. The User may prevent this by logging out of its YouTube account before accessing the website. You will find further information on the handling of user data in the data privacy of YouTube at: https://www.google.de/intl/de/policies/privacy. The legal basis for the temporary storage of data by means of cookies and analysis tools as well as of log files shall be article 6 (1) (f) DSGVO. The legal basis for the processing of the data provided shall be article 6 (1) (a) DSGVO. Before sending the data entered in the form, you agree that your data are transmitted and processed in order to process the request. The legal basis for the processing of the data transmitted while an email is sent shall be article 6 (1) (f) DSGVO if the sender is not a customer yet or has no business relationship with us in any other way. If there is already a contractual relationship or such a relationship is to be directly initiated on the sender’s initiative, the legal basis shall be article 6 (1) (b) DSGVO. The legal basis for the processing, particularly the temporary storage of the data provided in the application documents shall be article 6 (1) (b) no. 2 DSGVO. The data are saved for as long as is necessary to fulfil the purpose of their collection or until the revocation of a given approval, respectively subject to the restrictions of article 17 (3) DSGVO. Log files are deleted every two weeks. Transmission of contact form / email: The data will be deleted one year after the request is replied unless further communication regarding the same topic takes place before the expiry of this deadline or the data are further required due to a contractual relationship (for the purpose of contract execution/performance) or have to be kept due to statutory storage obligations in accordance with the legal deadline. Application documents: The data will be deleted one year after the rejection. The documents of those applicants who are employed by Dr. Schutz will be transferred into a personnel file. If the statutory requirements are given, the User shall at any time have the right of access to information about the pbD saved by him/her, article 15 DSGVO, as well as the right to correction, article 16 DSGVO, restriction of processing, article 18 DSGVO and deletion of his/her data, article 17 DSGVO. If the User enforces his/her right to correction, deletion or the restriction of processing, Dr. Schutz will inform all recipients to whom the respective pbD were disclosed about this correction or deletion of the data or the restriction of their processing unless this proves to be impossible or is connected with disproportionate effort. The User also has the right to revoke a once given approval (article 7, article 6 (1) a)). The proper revocation of the approval shall not affect the legality of the data collection effected until then. In addition, the User shall, at any time, have the right, for reasons arising from special circumstances, to file an objection pursuant to article 21 DSGVO against the processing of the pbD related to him/her, which is based on article 6 (1) e) or f). Apart from that, the User shall have the right to receive his/her pbD he/she has provided to Dr. Schutz in a structured, common and machine readable format (right of data portability, article 20 DSGVO). Apart from that, if the statutory requirements are given, the User shall have the right to file a complaint with a supervising authority, according to article 77 DSGVO.